Breaking the code of the book of Revelation has become an international obsession. The result, according to Hank Hanegraaff, has been rampant misreading of Scripture, bad theology, and even bad politics and foreign policy. Hanegraaff argues that the key to understanding the last book of the Bible is the other sixty-five books of the Bible — not current events or recent history and certainly not any complicated charts. What does it mean to take the book of Revelation (and the rest of the Bible) literally? Who are the “Antichrist” and the “Great Whore of Babylon,” and what is the real meaning of “666”? How does our view of the end times change the way we think about the crisis in the Middle East? Are two-thirds of all Jews really headed for an apocalyptic holocaust? The Apocalypse Code is a call to understand what the Bible really says about the end times and why how we understand it matters so much in today’s world. “This book is a withering and unrelenting critique of the positions of apocalyptic enthusiasts such as Tim LaHaye. Every fan of the Left Behind series should read this book. The fog will clear, and common sense will return to our reading of the Bible. 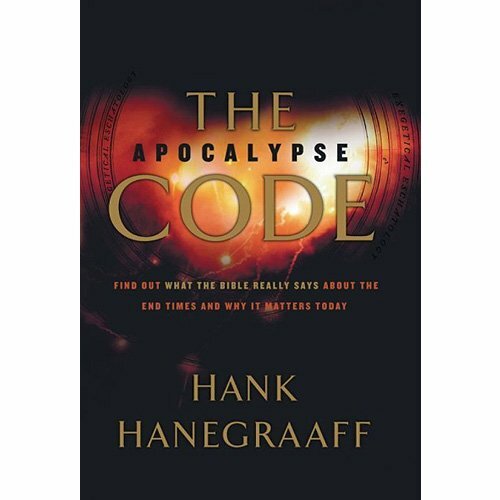 The Apocalypse Code is also available personalized for your gift of $100 or more to the Christian Research Institute.